I was so enamored with the beautiful weather this week – and the extensive time I spent outside – that I loaded my screensaver and rotating desktop wallpaper on my work computer with Creative Commons licensed photos of springtime. I ended up with several dozen. After watching them for most of a week, six of my favorites are sprinkled into this edition. Enjoy. 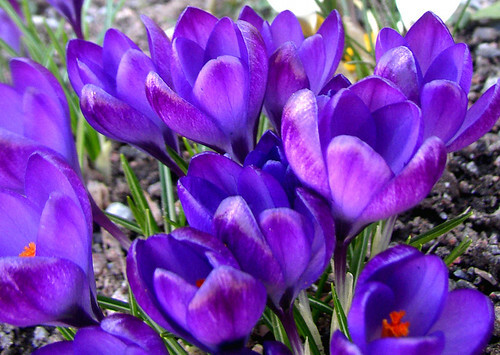 I was able to see a wonderful crocus bloom several weeks ago, as crocuses are usually among the first flowers to bloom in the spring. This photo was taken by Per Ola Wiberg and it beautifully represents the colorful explosion that is springtime flowers. Grass emerges unevenly in the spring, with some clumps here and there growing tall a bit earlier than other clumps. 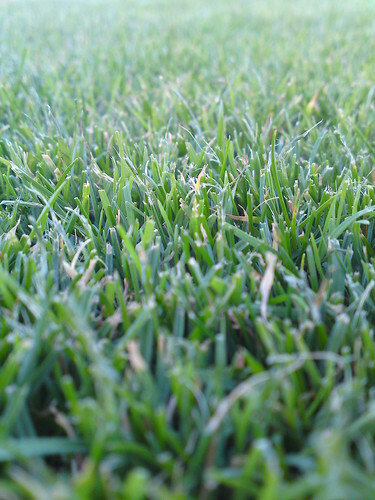 A few mowings later, you can’t tell the difference, but spring reveals some secrets about your lawn. Thanks to B. Burky for the image. Dinah Craik is a wonderful 19th century English poet. April is my favorite piece by her. Here’s a bit of it. Slow out of winter’s breast. 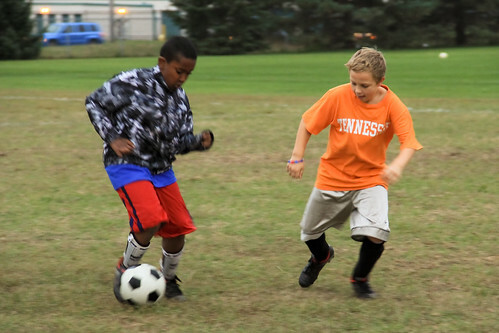 I’m coaching a youth soccer team this spring. The children are so full of energy, almost bursting at the seams from the winter spent largely indoors. Thanks to Steven DePolo for the wonderful picture. There is never a mistake that you can’t overcome with hard work and a few other things. Every day is a chance to start over and undo the mistakes of the past. There have been several bouts of early spring storms this past week and a half, including a vicious one that knocked out our power for a while. Few things can amaze like the power of nature. 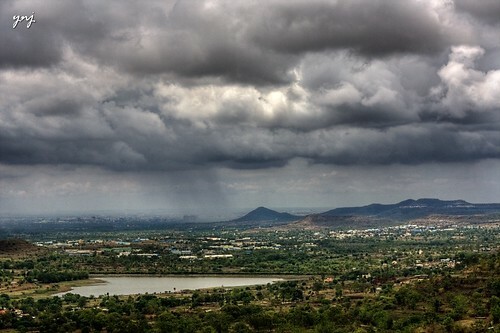 Thanks to Yogendra Joshi for this great picture of rain opening up from the skies. Part of the reason why I enjoy reading so much is that, to me, it feels like the closest I’ll ever come to seeing the world through the eyes and thoughts of another person. Rarely do I finish a worthwhile book and not feel differently about the world. 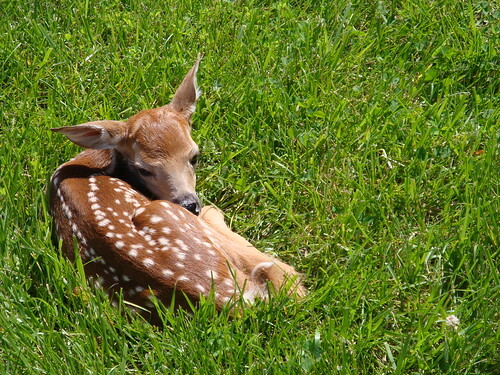 With so many recent walks in the woods, I’ve hoped to spy a whitetail fawn, but I’ve not seen one yet this year. It’s a little early, but sometimes you’ll see them as early as late April. Thanks to Sarah for the wonderful picture. Seeing primarily the bad in things never really gets you anywhere. Look for the good in things instead. There’s much more to be found in the potential than in the limitations. Our yard is just now seeing the first dandelions of the year. 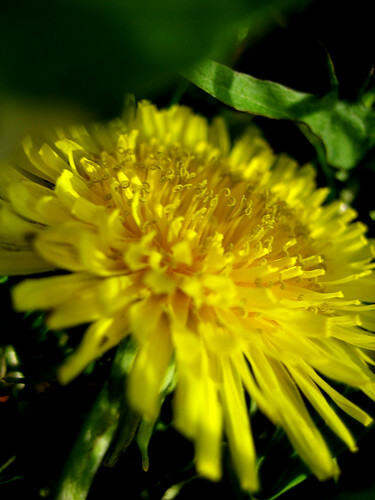 Few things make me think of the springs of my youth than a young child bringing a handful of freshly picked dandelions into the house to give to their mother. This photo was taken by Sean McMenemy.